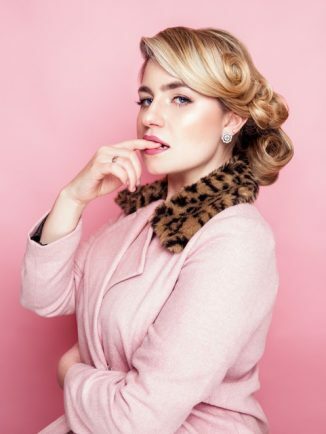 CRITICALLY acclaimed comedian Harriet Kemsley will be performing her hit new show at the Artrix Studio at 7.30pm on Saturday, writes Annie Lucas. The show will present her auto-biographical experiences of the societal shaming she says she has faced as a result of her romantic escapades. Discussing what is acceptable practice in the aftermath of the #metoo campaign, she tackles controversial topics surrounding sexual conduct in a comedic but reflective way. She looks at ‘two Joans’ – the one considered a lady, model citizen and a woman to take home to meet parents and the other more promiscuous who has had a melee of one-night stands and multiple conquests. Harriet Kemsley is a highly experienced performer who has appeared on TV shows such as 8 out of 10 Cats Does Countdown and her own self-written sitcom Baby and Harriet Get Married. Receiving numerous four and five-star reviews, this show has been widely acclaimed as honest and bold by critics such as The List and The Skinny when it was performed at Edinburgh Fringe Festival. Tickets are £10 and audience members must be 16 years old or above due to adult themes and language.